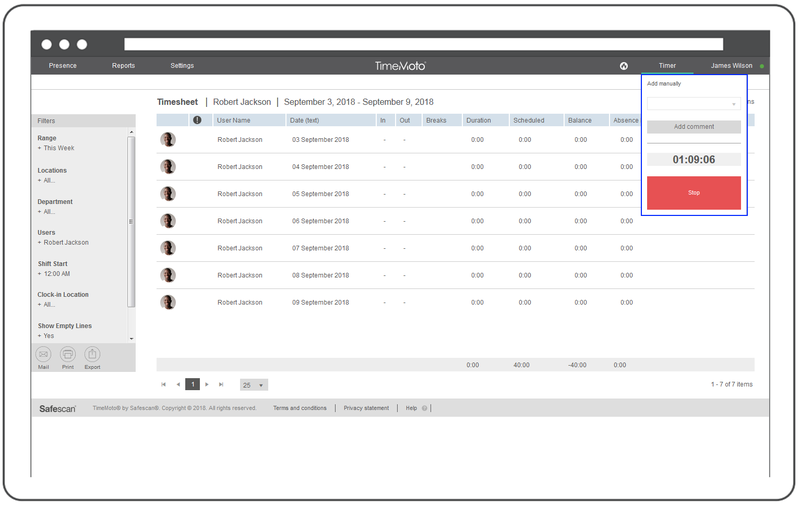 With the TimeMoto Time you can clock your hours in any internet browser. To be able to use the Timer, you need to be authorized of Mobile clocking in the user profile. To authorize a user to use the Timer, please visit the following article , Grand access to the Timer function. 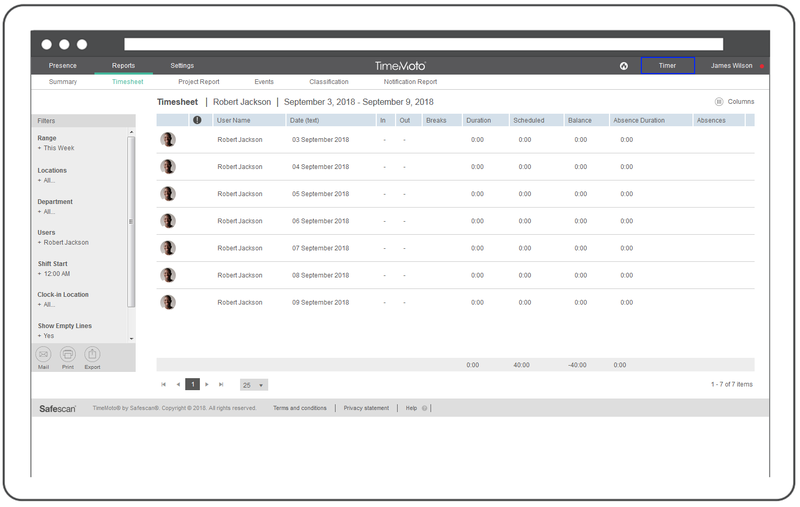 If the authorization is set correctly, you will see the Timer on each screen of TimeMoto Cloud on the top right corner, next to your name. There are 2 types of clocking you can do with the Timer function. You can clock in and out or you can add a certain amount of time onto one day. Bellow we are explaining both cases. When clicking on it, a drop down item is shown, where you either can start your time or stop you time. it is also possible to review your current time, you have worked so far. When you start or stop working, TimeMoto Cloud want to know your location. Depending on your company policy, allow or block the request. If you press start, the timer will start counting the minutes and hours you are working. 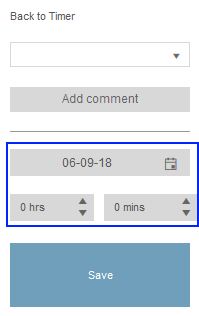 You can check you current working time anytime you are logged in by clicking on the Timer. as mentioned before, it is possible to add only the hours you have worked, without using the start and stop button from the Timer. 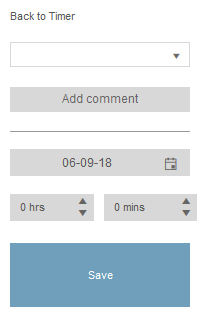 When opening the Timer, at the top there is the option to add hours manually. 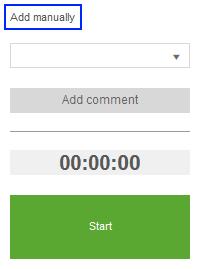 Once pressing the [Add manually] button another screen is presented within the timer. 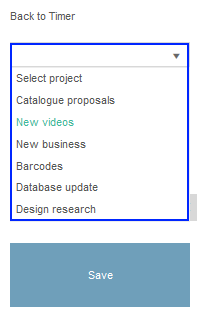 In that screen you can select a project you have worked on. This field is optional. You have to set the date and the amount of hours and minutes you want to add to your working time. After pressing the save button, TimeMoto Cloud want to know your location. Depending on your company policy, allow or block the request. The hours and minutes are now added to your worked time.